I think I’ve mentioned in a previous blog that I’ve been practicing vegetarianism, 10 days a month, since I was about 9 years old. I remember when I first started this vegetarianism thing, my mom always tried to make vegetarian food seem like it was real meat so we can eat it. I didn’t really care, I love vegetarian food, but my brother was reaaaly picky and particular about food. 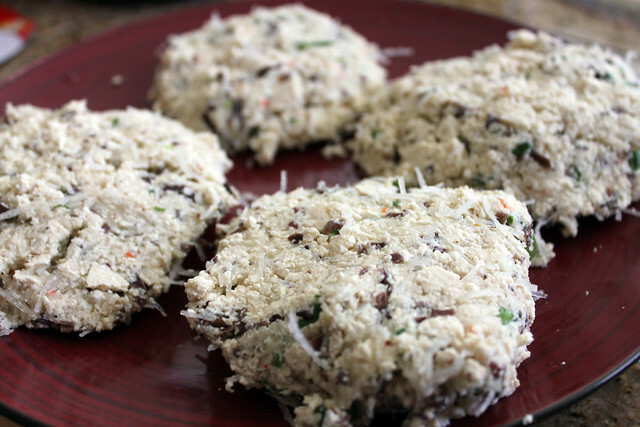 One of my favorite vegetarian food my mom made when I was a kid was tofu patties. I think she just crumbled firm tofu, mixed in some bean thread and scallions to it, seasoned with salt and pepper and fried it. My favorite part was dipping it in ketchup. 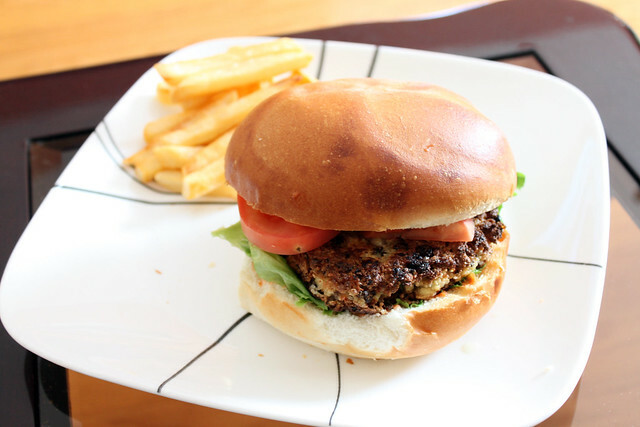 At home, we ate the tofu patties with rice, but when I went to school, I didn’t think it was cool (at the time) to bring rice so I asked my mom to put it in between some bread or bun so other kids thought I was eating special hamburger. Anyway, I haven’t eaten tofu patty for a very long time and been wanting to make my own version of my mom’s tofu patties. In my tofu patties, I added some Chinese black fungus, Panko bread crumbs (I think this made it too crispy, next time I’m going to use regular bread crumbs), and some crushed red chili flakes. This was a lunch many many years in the making and I am glad I made it! Still tastes just as good as I remembered. Follow the package instructions to prepare black fungus and bean thread (cellophane noodles). Remove tofu from packaging. Pat dry tofu and put in a large mixing bowl. Use a masher to mash tofu into crumbles. Dice bean thread, black fungus, scallions and add to mixing bowl. Add bread crumbs, olive oil, salt, pepper, and crushed chili flakes and combine all the ingredients together. 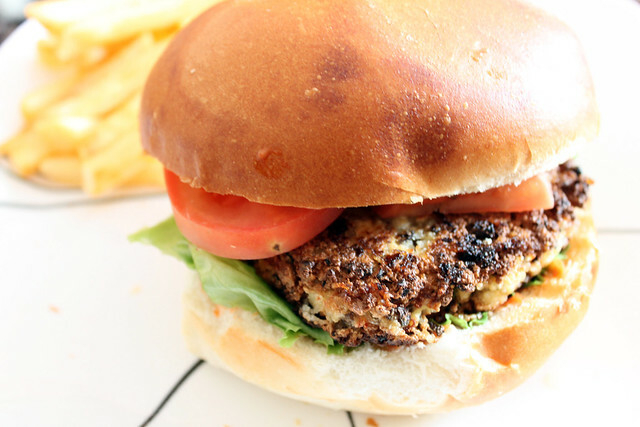 Form 4 patties, put it on a plate and put in the refrigerator for at least 15 minutes before cooking. Add vegetable oil to frying pan on Medium heat. 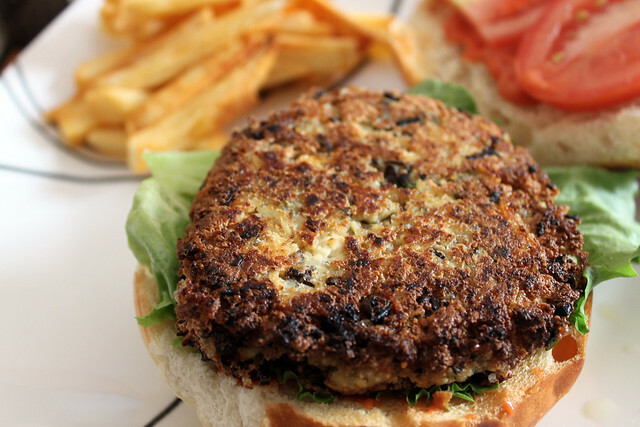 Fry each patty for about 4 minutes per side or until golden brown. Form burgers, add desired toppings and serve immediately!